YEREVAN. – Former Armenian MP Mihran Poghosyan has been called to Special Investigative Service. 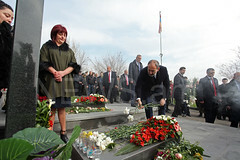 Marin Oghadjanyan, spokesperson for the Service, told Armenian News-NEWS.am that Poghosyan proposed to hold questioning via video connection. However, Poghosyan’s proposal was rejected as such a procedure is not supposed under the criminal code. 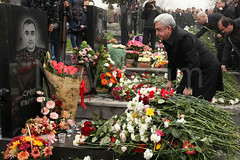 The investigators offered to inform them of the dates of his return to Armenia. 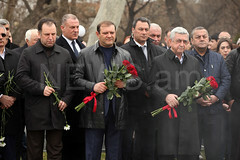 According to Oghadjanyan, former MP was called as a witness. Special Investigative Service re-opened probe into the case of former MP Mihran Poghosyan in connection with illegal business activity. The case in connection with the offshore scandal was filed in May 2016, but was dismissed eight months later due to a lack of evidence.